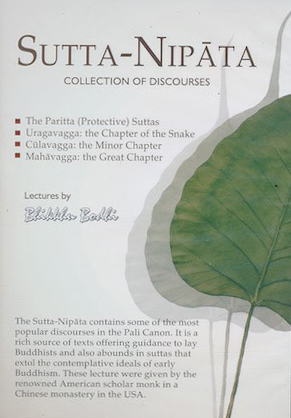 The Sutta Nipata contains some of the most popular discourses in the Pāli Canon. It is a rich source of texts offering guidance to lay Buddhists and also abounds in suttas that extol the contemplative ideals of early Buddhism. These lectures were given by the renowned American scholar monk Bhikkhu Bodhi in a Chinese monastery in the USA.